As you know most casinos are doing everything to hold on to their players. A part of this is to always offer great promotions for both new and excisting players. Some do it good, other better! One online casino that always puts their players in the first room is MrGreen. At Mrgreen there are weekly casino promotions with both free spins and cash drops! 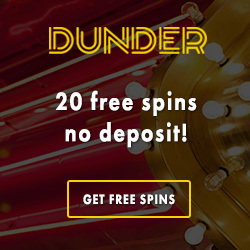 Every Tuesday you can get Bonus Spins at MrGreen. 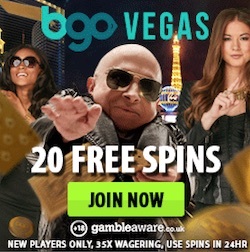 Why MrGreen are calling it "Bonus Spins" instead of "Free Spins" we don't know. Maybe because there are wagering reuirements connected to the spins. Either way this promotion is really interested so listen up! And remember, both new and excisting players have the opportunity to claim today's offer. 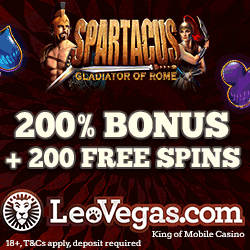 This Tuesday the 3rd of March you can claim up to 120 free spins at MrGreen. The spins that you get are valid for you on Tornado Farm Escape. This is a new slot from the popular game procuder netentertainment which you probably have heard of before. To get free rounds in the new slot you only have to deposit money to MrGreen and wager the amount in the casino during the day. How many spins you get this Tuesday depends on how much you deposit and wager in the casino. If you deposit and wager at least €20 this day you will be entitled 20 Bonus Spins on Tornado Farm Escape. You can also deposit and wager €50 or more. In this case you will get amazingly 55 free rounds on Tornado Farm Escape. 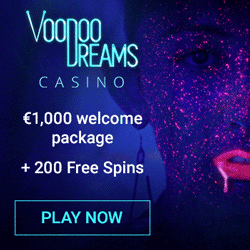 For those of you that are willing to deposit and play for €100 there will be 120 free spins waiting for you! Your earned spins will be credited to your account tomorrow after 1 pm. Note that this promotion might not be open for all countries. Make sure you check the terms for your specifik country before you make any deposit. MrGreen has a really impressive welcome offer where new players get welcomed with free spins with no deposit required. When you register at this casino you will get 10 free rounds that can be used on either Starburst, Scarface or Fruit Shop. Players from some specifik countries will get as much as 20 spins upon sign up. There is also an additional offer to get when you make your first deposit to MrGreen. Players from some countries will get extra free spins and a welcome bonus. Players from other countries will only get the bonus. Get your 120 free rounds at MrGreen!